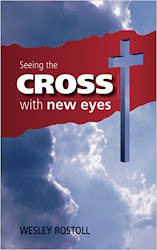 With new eyes: Why Jesus is NOT the name above all names. "Therefore God exalted him to the highest place and gave him the name that is above every name, that at the name of Jesus every knee should bow, in heaven and on earth and under the earth...."
Even Jesus got in on this in Matthew 6:9 where in the ‘Lord’s prayer’ He says “Hallowed be Your name" which is a fancy way of saying your name alone is holy, consecrated or set apart. There is indeed one name under heaven by which men are saved (Acts 4:12) and indeed, the name Y’shua itself tells us that, for it quite literally means “Yahweh is salvation”. "I am no longer in the world; and yet they themselves are in the world, and I come to You. Holy Father, keep them in Your name, the name which You have given Me, that they may be one even as We are." This is the same Jesus of whom God said “My name is in Him” (Exodus 23:21). It is the same Jesus whom the Psalmist speaks of when he said, “Blessed is He who comes in the name of the Lord (Psalm 118:26)." This Jesus who died and rose again “has by inheritance obtained a name more excellent than the angels” (Hebrews 1:4), so that God could say to Him, “Your throne, O God, is forever and ever” (Hebrews 1:8). Do you see how incredible Paul’s statement in Philippians 2 really is? He is not saying that God has simply honored Jesus’ birth name and put it on a pedestal. There are a ton of people named Jesus running around Mexico right now as well as plenty of Joshua’s right here where I live (Joshua and Jesus both come from Yeshua, they were just changed in our bibles to avoid possible confusion). 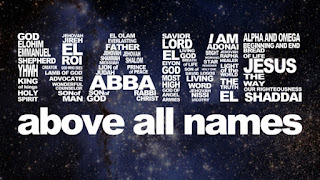 Rather, God has given Jesus His own name, meaning that Jesus is not just Lord but that He is LORD! He is wholly God along with the Father and together they are two thirds of the Trinity*. Jesus is everything we can comprehend and more. *On a related but side note, the Holy Spirit is also called Yahweh in scripture (Corinthians 3:17). A friend pointed out to me after reading the original draft of this article that this is why we baptize people in the Name (singular rather than plural) of the Father, Son and Holy Spirit). Love it. Maybe it starts going south when we think we can separate Him from the Name. H basically is the name. Jesus is God. He is one part of the Trinity but one. 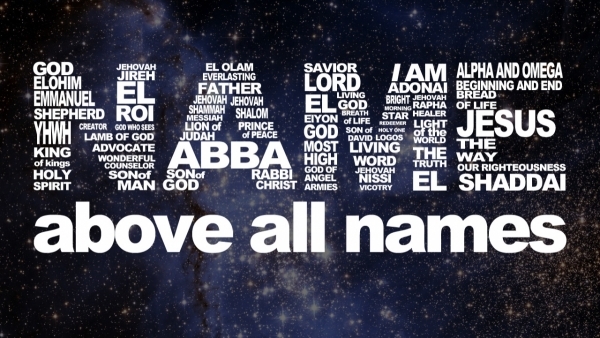 There is no other name exalted higher in heaven, on earth or under the earth than the name of Jesus Christ our Savior!